This tiny sand spit looks like a great place to hang out for the day, but perhaps not such a good place to be marooned. I imagine the snorkeling and scuba diving around this tiny island would be spectacular. 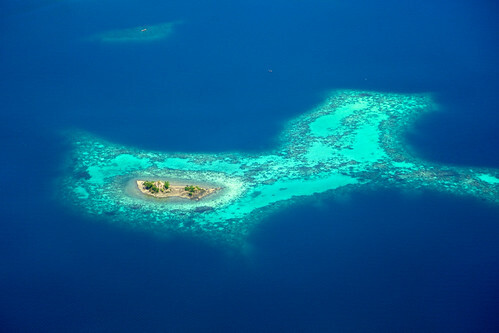 This is one of the many islands near the bigger island of Yapen in Papua, Indonesia as seen from the air. It looks like it's on its way to becoming an atoll. Follow me @DanielPeckham on twitter or buy prints here.